If you own a business, financial mistakes can be fatal. At the very least, they can prevent you from enjoying the level of success you want. In many cases, apparently small mistakes of which you’re unaware hold you back. 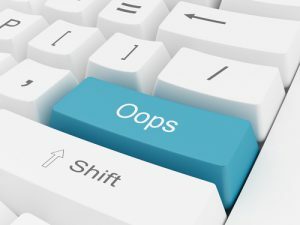 Let’s look at four common and potentially devastating money mistakes to avoid if you want a more successful business. If you have the mentality that something is more valuable because it costs more, you’re probably overpaying for many tools and resources for your business. Furthermore, you may be overlooking lots of helpful free resources. For example, Google Analytics has many of the same benefits of much costlier analytics software. When it comes to content and education, there are lots of free business resources in the form of blogs, free online courses, videos, and podcasts. Before you pay for another high-end seminar, find out if you can learn the same thing much cheaper or even free online. Deciding how much to charge is always one of your most significant business finance issues. While it makes intuitive sense that the less you charge the more customers you’ll have, this isn’t always the case. If your rates are too low, people undervalue your products. There are also less noticeable ways that you might be undercharging, such as by adding on bonuses or extra services along with your main product. Rather than doing this, think of ways to use upsells and add-ons that contribute to your profits rather than drain your time. Lack of flexibility is another mistake that can harm your business finances. Accepting more methods of payment expands your potential customer base. Accepting a variety of payment methods such as credit cards, PayPal, money orders and maybe even Bitcoins will mean more people are likely to order from you. On a similar note, give people several shipping options. Customers like to have choices and the more flexible you are the more convenient it is for them to buy from you. While it’s great to be ambitious and have an inspiring long-term vision for your business, if you try to do too much too soon, there’s the danger of overextending yourself. Signs that you may be doing this are buying tools and equipment you don’t yet need, renting large or fancy office space or overspending on advertising rather than starting small and testing your results. The most impressive success stories in business don’t usually happen overnight. They implemented a step-by-step plan and grew gradually and organically. These are some of the money mistakes that many businesses make. If you pay attention to these potential pitfalls, you’re less likely to fall victim to them. Business finance issues are crucial to your success. If you’ve made mistakes in the past, all you can do is resolve to do better with your business finances in the future. There are certain resources that can help you make progress. One way to get better control over your business finances is to take advantage of the invoice factoring services offered by Riviera Finance. Call us or contact a representative near you!